“People are going to say: ‘Oh, he was molested as a kid and now he is coming out.’ I get it,” he said. Few national television news anchors or hosts have publicly acknowledged being gay. Rachel Maddow is perhaps the best known. Her MSNBC colleague, Thomas Roberts, has also come out as gay. Mr. 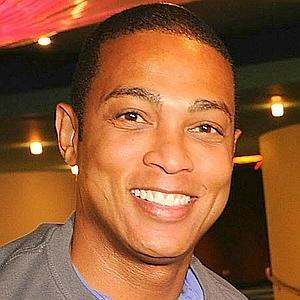 Lemon has not made a secret of his sexual orientation in his work life; many of his CNN co-workers and managers have long been aware that he is gay. But he still acknowledged that going public in his book carries certain risks. Even beyond whatever effect his revelation might have on his television career, Mr. Lemon said he recognized this step carried special risk for him as a black man. That’s what it takes to break down those walls, though. The more that people like Don speak up and tell their stories, the more the “taboo” is broken, and ultimately, the more people it helps. Incidentally, Don is dedicating his book in honor of Tyler Clementi, the Rutgers student who committed suicide last fall after being bullied. So congratulations and a big thank you go out to Don Lemon, that he may be an inspiration to gay kids who feel alone, and especially to African-American gay kids. Hell, living with courage and integrity is a lesson for everyone. This of course broke just after news came out that high ranking NBA exec Phil Welts had come out, breaking another barrier in another world where too few have been broken up to this point. I’m sure some wingnuts will react to this, so when they do, I’ll share them if they’re funny.